(18/P034) TRENTON – The Department of Environmental Protection is encouraging residents to help improve air quality by making some basic changes in their daily routines as New Jersey marks Air Quality Awareness Week, which runs through this Friday, May 4. Air Quality Awareness Week is timed to the start of ozone season. Ground-level ozone, or smog, is formed through a reaction involving warmer temperatures, sunshine and certain types of pollutants. The young, the elderly and those with respiratory conditions such as asthma are particularly vulnerable to the effects of ozone. The number of ozone-alert days DEP issues when smog levels are expected to be unhealthy have dropped dramatically over the years due to advanced pollution controls on power plants and industrial sources as well as the sale of cleaner vehicles. But more can be done to help reduce the pollutants that contribute to smog formation, particularly emissions from vehicles, Acting Commissioner McCabe said. 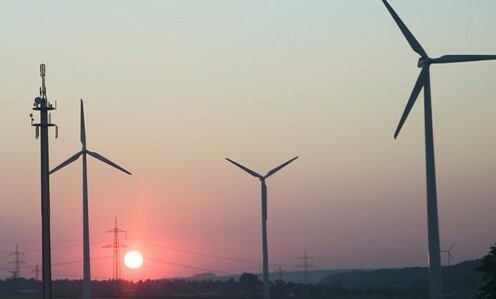 “The DEP is committed to sound policies that will better protect public health and enhance air quality, including spurring renewable wind-energy development and promoting, through regional cooperation, the sale and use of electric vehicles and the charging-station infrastructure to support them,- she said. Turn off vehicle engines while waiting in line to save money, fuel, and benefit public health. Do not idle your car. Develop good driving habits. Combine automobile trips to reduce “cold starts.- Choose a cleaner commute by carpooling, using public transportation, bicycling or walking. Refuel vehicles during cooler evening hours to reduce evaporation of gasoline, a volatile organic compound capable of forming ozone. Ask the gas station attendant to stop refueling your car when the nozzle clicks off, and to avoid overfilling or dripping fuel. Any additional gasoline after the first click may not reach your vehicle’s gas tank, although you will pay for it. Tighten gas caps securely. Maintain an energy-efficient vehicle. Keep vehicle tires properly inflated to increase gas mileage and reduce emissions. Turn off lights when leaving a room. Turn off the air conditioning and turn up the thermostat while away from home. These actions can save money, as well as reduce pollution. Check the local forecast using the Air Quality Index (AQI) at njaqinow.net before painting, mowing the lawn or doing other activities that cause air pollution. If it’s an orange or red day, which typically means the temperature is hot or uncomfortable, postpone projects that use solvents or engines. Get a low-cost air quality sensor and monitor local air quality. 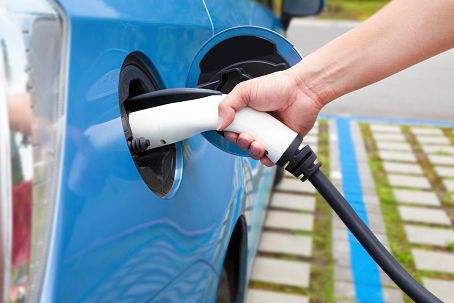 Consider an electric vehicle when it’s time to buy your next car. Visit drivegreen.nj.gov to assess affordability, find state and federal incentives, and learn about charging options. Plant trees and support programs that help maintain a healthy tree canopy. In addition to Air Quality Awareness Week, this year marks the 20th anniversary of the launch of AirNow, This EPA website provides current air quality data and air pollution forecasts for the nation, and to which New Jersey sends air quality data every hour. Everyone, particularly those with health problems, is urged to learn more about DEP’s Air Monitoring Alert System, which uses color codes to plan daily activities around current air quality conditions. The conditions are updated daily at www.njaqinow.net. Overexertion on poorer air quality days can be harmful to your health.